United States President Donald Trump has been criticized for plans to build a wall on the border with Mexico to keep out illegal immigrants. As Americans and Mexicans negotiate the possibility of Trump’s border wall, East African nation Kenya has already begun building a wall at the border with Somalia to control the activities of Islamist group Al Shabaab. 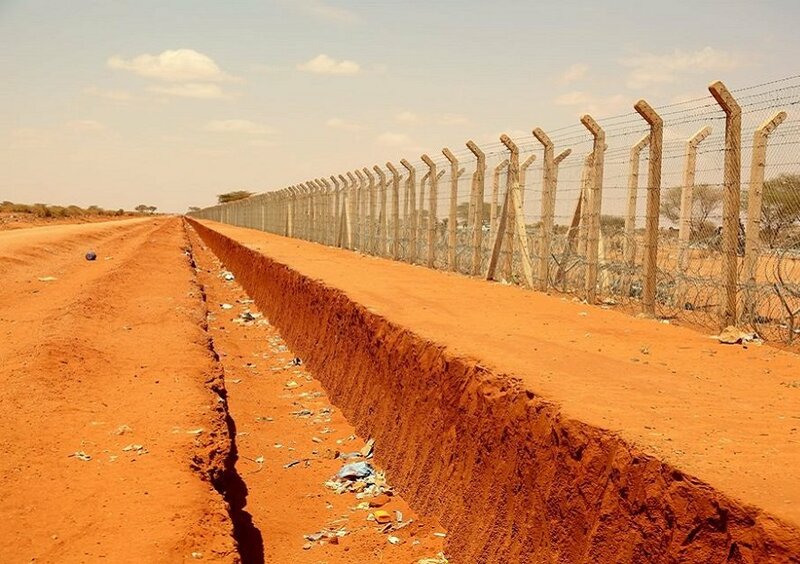 Kenya made the decision to build the wall dividing its Mandera border town and Somalia’s Beled Hawa border town in 2015 after multiple attacks by Al Shabaab on civilians and security officials. In 2016, 12 people were killed by Al Shabaab at a guest house in Mandera hosting members of a theatre group who were performing plays in schools in the border town. The attacks have since continued and the Kenyan government says a wall will help control the entry of militants from Somalia into Kenya. However, the decision to wall the over 700 km border has been condemned by the Somali authorities and residents of the Somali border town Beled Hawa who have been protesting in the past weeks to halt the construction. What Is happening in Baladxaawo is so disheartening, Somali Residents in Kenya need to Come out and show that the Country is crossing Red lines, We (Somali Youth) should wake up and move mountains, this is more serious than we think. So far, Kenya has built more than 4 km of the wall and the residents say Kenya is constructing the wall on their land. This is beside earlier protests against the idea of building the wall which the Somalis believe will restrict easy movement of students and traders into the neighbouring country. Governor of Beled Hawa’s Gedo Region, Mahamud Ahmed, called on residents to stop the violence as Somalia and Kenya have started talks over the issue, reports local media Radio Dalsan. “Somalia President has contacted his counterpart on the issue and agreed to start talks on March 27. Kenya has agreed to stop the construction awaiting the talks,” Ahmed said. As the talks continue, hundreds of Somalis continue to protest at the border against the alleged encroachment of their land by Kenya to build the border wall.